Pregnancy discrimination in the workplace happens if women who are expecting a child or who have a medical condition associated with pregnancy suffer an adverse employment decision because they are pregnant or intend to get pregnant. The Los Angeles pregnancy discrimination lawyers at Gallenberg PC can file a charge or lawsuit if you have suffered from mistreatment on the job. Our firm does not charge potential clients for the first intake. The best and fastest way to get a case evaluation is through our online form. You can also call us in Burbank at (818) 237-5267, in Los Angeles at (213) 986-8432, or in Beverly Hills at (310) 295-1654 if you are considering seeking representation from an employment discrimination attorney. Pregnancy discrimination in the workplace is prohibited under federal and state laws. The primary federal law prohibiting pregnancy discrimination is the Pregnancy Discrimination Act (PDA), which amended Title VII. Discrimination due to pregnancy with regard to any employment action, including hiring, termination, promotions, and job assignments, is illegal. Employers may not refuse to hire a woman because of a pregnancy-related condition as long as she can perform the essential functions of the job. Two other major federal laws also protect the jobs of pregnant employees. The Family and Medical Leave Act (FMLA) gives new parents 12 weeks of leave to be used to care for a new child. The Americans with Disabilities Act (ADA) provides protection for pregnant workers who are impaired due to a pregnancy-related disability. Under the ADA, an employer must provide a reasonable accommodation for a pregnancy-related disability unless it would present an undue hardship. Pregnant employees are supposed to be treated in the same way as other job applicants or employees who are similar in their ability or inability to perform job tasks. This means, for example, that if an employee has been absent from work due to a pregnancy-related condition and then recovers from it, an employer may not require her to remain on leave until the baby is born. Moreover, if other temporarily disabled employees are allowed to take disability leave, an employee who is temporarily disabled by a pregnancy-related condition is also allowed to take this leave. The employer needs to hold her job open for as long as it would hold open the job of any other temporarily disabled worker. California law protects employees through the Fair Housing and Employment Act (FEHA). FEHA prohibits discrimination against pregnant job applicants and employees. It requires employers to provide a leave of absence to an employee disabled by pregnancy or a related medical condition. Additionally, the employer must provide a pregnant worker with other forms of reasonable accommodation as necessary. Under the Pregnancy Disability Leave law, California employers that have five or more employees must give four months of job-protected disability leave to women disabled by pregnancy or childbirth. The California Family Rights Act (CFRA) requires covered employers to allow eligible employees an unpaid leave of absence for up to 12 weeks within a 12-month period. CFRA applies to the State of California and private employers that do business in California and employ 50 or more part-time or full-time employees. Employees are eligible for CFRA leave if they are employed for at least 12 months in the last five years and have worked at least 1,250 hours in the year before they ask for leave. You also need to work within 75 miles of at least 49 employees in the company. If you have been a victim of pregnancy discrimination in the workplace, there may be opportunities to pursue compensation under both federal and state laws. At Gallenberg PC, our Los Angeles pregnancy discrimination lawyers are experienced advocates for women expecting children and women who have recently given birth. Our firm represents people seeking an employment discrimination or workplace harassment attorney in many Southern California communities, including Burbank, Beverly Hills, Pasadena, Santa Monica, Van Nuys, Glendale, Downey, and Inglewood. 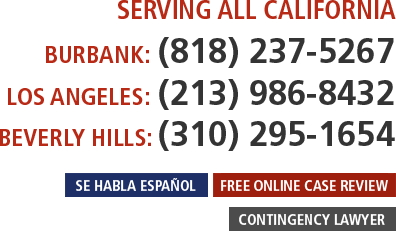 Call us in Burbank at (818) 237-5267, in Los Angeles at (213) 986-8432, or in Beverly Hills at (310) 295-1654. For a faster response, contact us through our online form for a case evaluation.